The day I moved into my very first house did not go smoothly. I had to drive from Boston to Atlanta, and I had tarried too long with friends in Virginia along the way, not realizing that every RV in the Southeast combined with seemingly endless construction between Roanoke and Charlotte would create Phish-concert-caliber traffic. I spent moving-day eve somewhere outside of Greenville, South Carolina. After a restless night of worrying about all of my most important worldly possessions being stolen from my car at the roadside motel, I got up the next day and with bleary eyes beat the movers to my house by about 15 minutes, still wearing the same clothes as the day before. Ugh. Thank God for my sister-in-law, who also happened to be my real estate agent. My sale was her first, and she set the bar very high. When I got to the house, there was a very practical plastic bucket full of lifesaving items for me. Every person moving into a house should have one of these. If your Realtor pales in comparison to my sister-in-law, put one together for yourself and keep it close for moving day. It’s all yours! Move-in day will wipe you out, and you’ll likely be unpacking boxes for days, but this is a happy week. Make sure it stays happy with a few items that will get you through it. Also, make sure you wear shoes with good support the whole time; for some reason I unpacked shoeless for days, and it was a really bad idea. At least a few rolls of toilet paper. This is the number-one most important thing to include, and you will never convince me otherwise. Aspirin and all of your medications. This is the second-most important thing to include. I’ve never been so happy to see a little packet of aspirin as I was when I unearthed it at the bottom of my move-in bucket. It was a lifesaver. If you have antianxiety medication, moving day is a really good day to take some. 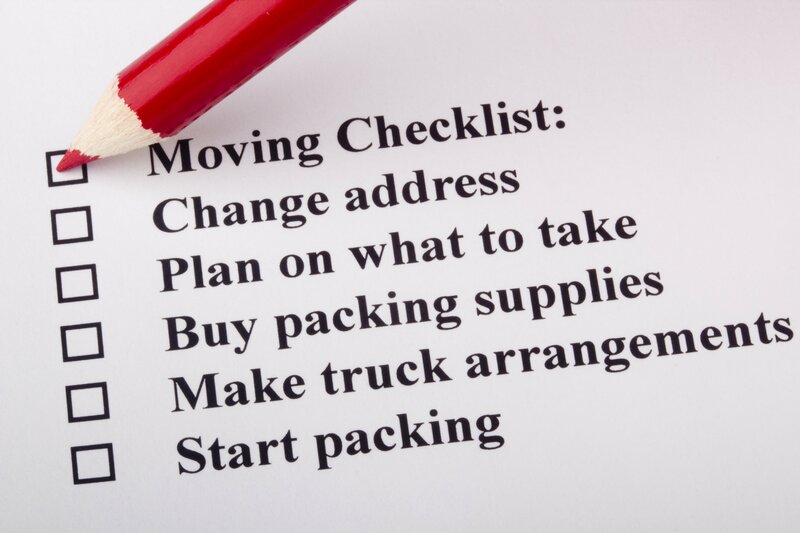 Of course, you will want all of your medications, important documents, laptop, jewelry and anything else that’s very important or of great value somewhere that you’re keeping track of and not with the movers. OK, you’ve taken care of t.p. and your aches and pains; how important the rest of these items are is more subjective. I’d love to know what you think is the number-one thing, so be sure to voice your opinion in the Comments section later. Toilet plunger. If you have only one bathroom, this is very important. The more bathrooms you have, the less crucial a plunger is for move-in day. Cash. You should tip your movers, unless they call you “baby girl” or “princess” throughout the entire move, and talk on the phone in the cab of the loudly running semi truck all day while charging by the hour. Actually, I think I wound up tipping that guy too, because he knew where I lived. Leatherman knife. While having the whole toolbox handy would be great, there are only so many things you can fit into the move-in-day survival kit, and a Leatherman or Swiss Army knife will fit in a pocket. It’s great for opening boxes, putting little pieces of furniture together and, most important, opening that bottle of wine you’re saving for when the movers leave. If you don’t think you’ll be organized enough to have a Leatherman handy, make sure you have a box cutter and a box of wine. Trash bags. You’re going to want the big, sturdy yard trash bags as well as the clear recycling bags. For those of you who still manage to be on the ball during moving chaos, look up what is recyclable locally before your trip so you can be sure to recycle all of your packing materials, or coordinate with someone else who is about to move to come pick up your boxes, Bubble Wrap and tissue paper when you’re done. Power strip and mobile phone charger. The power strip will come in handy because you’ll probably clear one little area to keep chaos at bay and wind up plugging in a lot of various things, like lamps, a laptop, your iPod dock and more. Toothpaste and a toothbrush. Actually, expand this. You should pack a weekend overnight bag and Dopp kit for yourself, including soap, shampoo, deodorant, a razor and anything else you’d need for two to three days away. No matter what, you’ll want to give the toilet a cleaning, and some of your furniture may be dusty and have a cobweb or two as it comes off the truck. An all-purpose cleaner and paper towels should be enough to tide you over. Ideally you would have paper plates and plastic utensils at the ready, but you can make do with what comes with the food, your Leatherman knife and that roll of paper towels I already told you to bring. Bandages. While a complete first aid kit is great for overachievers, soap, water, paper towels and a box of bandages should take care of any move-in mishaps. If not, you should probably head to Urgent Care anyway. Also remember that a handful of cars come with first aid kits weirdly hidden in the backseat armrest. I just remembered for the first time in eight years that mine has one. Notepad and pen. Moving day is a time when many to-do lists are made, new numbers are learned and names of neighbors who have stopped by and introduced themselves are furiously scribbled down before they fly out of your head. I realize that many tech-savvy folks and young whippersnappers do all of this on their phones, but I believe in the usefulness of pen and paper. Something to freshen the air. Whether you prefer a Glade plug-in, a bottle of Febreze or a fancy candle, even the cleanest house in the world will smell a little musty when it’s been closed up for awhile. Get your own favorite scent wafting through the air. Flashlight. This will come in handy at night as well as for checking out your new crawl space or any other dark corners. Speaking of light, be sure to pack a few extra batteries, a few lightbulbs and a nightlight that will help guide you to the bathroom in this foreign place. Unpack certain boxes first. Hopefully, you’ve labeled everything well and the movers are putting the appropriate boxes in the appropriate rooms. While they are, watch like a hawk for linens and bathroom stuff. As soon as a bed is assembled and you’ve found the sheets, make up a bed. By the time you get to fall into it, you’ll be way too tired to put the sheets on. Also, unpacking the kitchen is a huge accomplishment that will make life from here seem much more normal. As soon as you have your own toaster oven, coffeemaker, blender and other appliances ready, you’ll feel like you can do your first big grocery shop and start preparing meals that don’t arrive in Styrofoam containers. Be nice to your own buyers. Conversely, if you are moving out of a place, try to make the moving process pleasant for the new owners, unless they were jerks at the closing — well, even then, take the high road. Make the place spotless, leave a welcome note, organize instruction manuals for any appliances they are inheriting from you, leave the names of service providers you recommend and the numbers of a few good food delivery spots (or if they were jerks at the closing, just leave them the number of the so-so spots). These moves will keep your moving karma clean so that all will go well on your end. For more information regarding this article, please visit Houzz.com.